Ada pertanyaan untuk Oslob Malonzo Pension House? 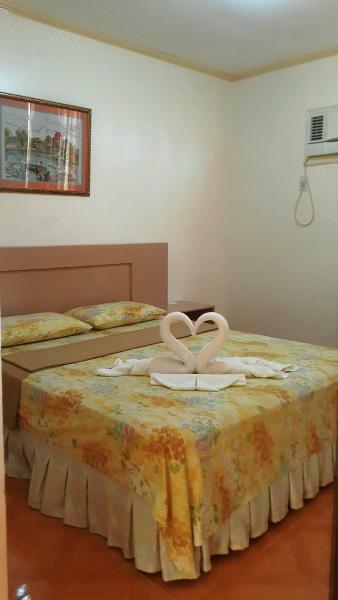 Terletak di pusat Oslob, Oslob Malonzo Pension House adalah tempat ideal untuk menelusuri Cebu. Kehebohan pusat kota terletak hanya 0.2 Km dari sini. Yang tidak ketinggalan adalah akses mudah dari hotel ini ke sejumlah obyek wisata dan landmark kota ini seperti Oslob Distric Hospital, Air Terjun Tumalog, Oslob Whale Shark Watching. Di Oslob Malonzo Pension House, setiap upaya dilakukan untuk membuat tamu merasa nyaman. Dalam hal ini, hotel menyediakan pelayanan dan fasilitas yang terbaik. Fasilitas terbaik hotel ini termasuk WiFi gratis di semua kamar, check-in/check-out cepat, penyimpanan barang, Wi-fi di tempat umum, tempat parkir mobil. Nikmati fasilitas kamar berkualitas tinggi selama Anda menginap di sini. Beberapa kamar memiliki akses internet - WiFi, akses internet WiFi (gratis), kamar bebas asap rokok, AC, meja tulis, yang disediakan untuk membantu Anda mengumpulkan tenaga kembali setelah lelah beraktivitas. Taman di hotel ini adalah tempat-tempat ideal untuk bersantai setelah hari yang sibuk. Oslob Malonzo Pension House adalah pilihan yang cerdas bagi para wisatawan yang berada di Cebu dan menawarkan pengalaman menginap yang menenangkan setiap saat. Saya dan teman-teman menginap disini agar bisa melihat Whale Shark keesokan harinya. Hotel ini bersih dan nyaman. Staff ramah. Dari jalan raya utama berhenti di Jules Bakeshop kemudian masuk jalan kecil (jalan dapat dilalui mobil) yang dapat ditempuh dengan 5 menit berjalan kaki. Lokasi sangat dekat Cuartel, bisa ditempuh dengan berjalan kaki juga. Hotel juga menyediakan antar jemput ke lokasi WhaleShark. Perjalanan ke WhaleShark sekitar 15 menit dengan mobil. A nice guesthouse. 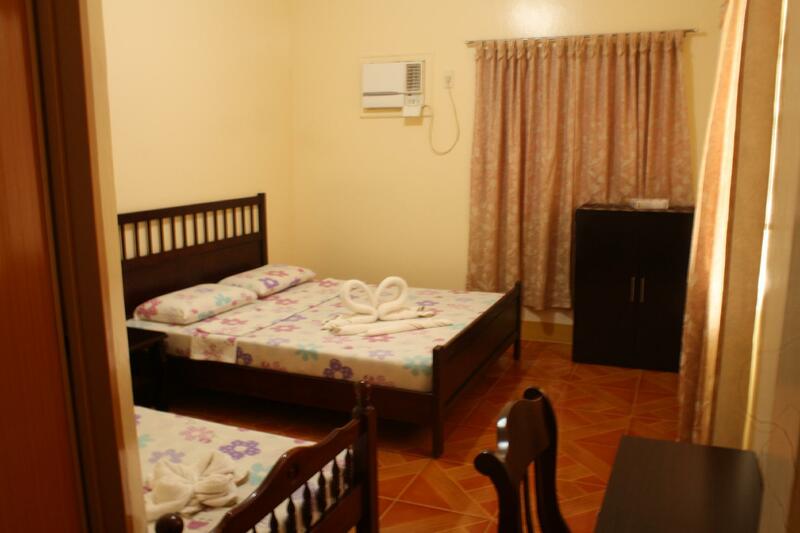 Rooms are simple, but ok for an overnight stay if you came to Oslob for whale shark watching. There is no hair dryer in the room. The owners can organize the whaleshark watching tour for you: transfer and tickets are included, very comfortable. Good and cheap breakfast at the guesthouse. This was a little gem in the city center of Oslob. The room was very clean and the air conditioning was really appreciated. We love the family and staff who took good care of us and our excursions. They arranged for our transportation to all our destinations. They didn't charge for laundry but we gave the young lady plenty of cash. We highly recommend this pension house. They have a beautiful little garden outdoors that is very inviting with cold beer, other drinks and snacks you can purchase. Nicest, most helpful owners we have met during our trip in the Philippines. Pictutes featured on Agoda do not do them justice, clean and charming. I LOVE the fact that here shower and toilet is not 1 thing, but 2 separate. :) Our feel of comfort was much elevated here. we arrived in the morning, hours before the checkin time. Owner is very welcoming and try to clean the room as fast as possible so that we could take a rest before we go for our activity. The staff also helped us with the motorbike rental. The owner and staffs there are very very friendly. room is clean and wide. hot water working well with good water pressure. Morning breakfast is served professionally at an acceptable cost. Love this place and will definitely recommend friends and family to come back here!! It’s a perfect place to stay in Oslob if u wanna go watch the whale sharks. Only 10mins drive to the whale sharks spot. And the host is really nice. They will help you to get anything you need. Bed is really comfortable. It take 30mins to whaleshark watching, u only stay few hours cause need to get up early, so nothing to expect or complain about. The staffs are nice through. I came in Malonzo alone, but the owner take care of everything, including whale watching and water fall seeing, besides, he was really nice:) the room is super clean and the air-conditioning works great. The hostel is near to some important spots also the main Street. I will highly recommend people who travel alone or with friends or even family to stay in Malonzo!! 位置環境很好，房間乾淨整齊，還有附浴巾，老闆人也很好安排鯨鯊和瀑布，收的價格也很合理，而且人很親切負責，我強烈推薦大家來這裡住宿!!一定會覺得非常值得!! We asked the pension house to arrange transportation for us for the next morning whale shark watching through their facebook, and they responded quickly and professionally. The pension house is well maintained. We would highly recommend this place to anyone travelling to Oslob. This is a small pension house located a short walk from the main road in Oslob. There is approximately 6 rooms, so it fairly small, but staff is available 24/7 and very accommodating. If I were to say one thing about this place, I would say that it is extremely clean. Overall, I would stay here again if visiting Oslob in the future. the location is very convenient! There is small night markets during night and you can try street food!!! we arrived Malonzo Pension House pretty early ( around 10-11am ) and the room was available so they even let us to check in earlier, we appreciated that so much! Thank you! I think someone wrote you could eat off the floors in this place and I was skeptical, but not now, it's true. The place even smells clean but not in that sort of Pine-Sol way. It's a gem in Oslob, where I've heard that a number of other places just play on their location near the whale watching and they're slovenly at best and horrific at worst. My highest rating ever for a budget place. The owners are very helpful to set up outings. No TV in the room, but I actually prefer that so I'm guaranteed that the people next door aren't blasting Asia's Got Talent until all hours when I'm getting up 5:30am to see the whale sharks. By the way, someone previously noted there is no international ATM in Oslob, but there is now one (DBP) at the tourist office and it worked fine even Sunday night when many ATMs even in bigger cities are empty. Friendly owner and convenient that they could arrange transport to the whale shark spot and the waterfall. Walking distance to food location. However the furniture was old and the bed was not comfortable enough. First time in Olsob. 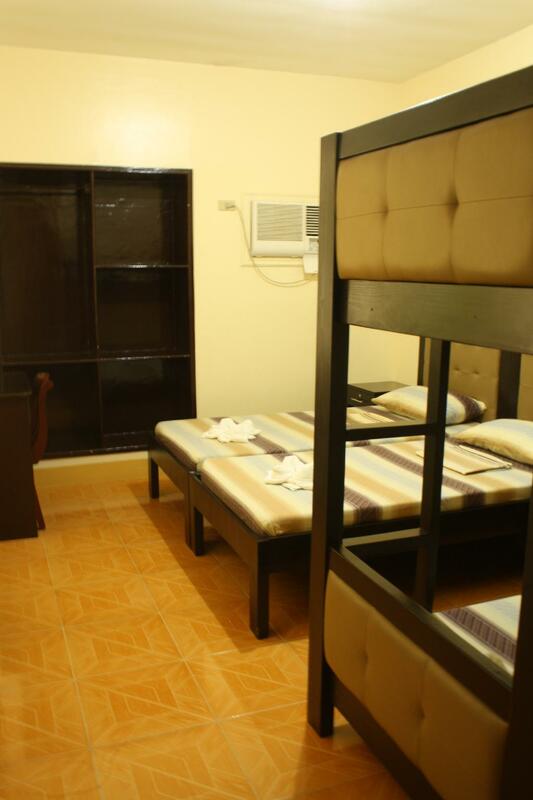 The malonzo pension house is a very comfortable and clean place to stay. The rooms are small but very clean. Shower and wifi worked well. The owners and staff were fantastic. They helped us book our day trips to the whales sharks and waterfalls and really did a great job in accommodating our every need. I would recommend the malonzo for any traveller. Please be aware that in Olsob you can't use foreign bank cards in the ATM and cash only in restaurants and hotels. Nearest cash machine for foreign cards is 30 minutes drive away. So take plenty of cash with you. The room was big enough for me and my husband. The A/C was good, the bed was comfy although the shower took a long time before it heat up. The owners also waited until 12am because we were checking in late due to late flight and we appreciate that.. Lastly, the owners were kind enough to arrange a tour for us. Good : Ms Eva & family are great help. They help me with the Whale watching & Canyoneering and transport. They also help me to get a boat ride from Oslob to Panglao (Bohol). The place is clean n comfortable.